www.Mercedesofflagstaff.com ... Family Owned and Community driven. We offer our clients CLEAR PRICING and a Pressure-Free experience with exceptional customer service. Certified. CARFAX One-Owner. Clean CARFAX. Priced below KBB Fair Purchase Price! Non Smoker!, MP3, Alloy Wheels, Bluetooth®. 25/35 City/Highway MPG Gray 2015 Mercedes-Benz GLA 4D Sport Utility GLA 250 FWD 7-Speed Automatic 2.0L I4 DI Turbocharged Mercedes-Benz Certified Pre-Owned Details: * Warranty Deductible: $0 * Roadside Assistance * Includes Trip Interruption Reimbursement and 7 days/500 miles Exchange Privilege * Transferable Warranty * Limited Warranty: 12 Month/Unlimited Mile beginning after new car warranty expires or from certified purchase date * 165 Point Inspection * Vehicle History www.Mercedesofflagstaff.com ...Excellent selection of New and Certified Pre-owned, Great selection of All Makes and Models of handpicked Pre-owned Vehicles. ALL PRICED BELOW MARKET! Low Financing and Lease options! Serving All of Flagstaff, Sedona, Cottonwood, Williams, Kingman, Bullhead City, Winslow, Bellemont, Prescott, Prescott Valley, Pine Valley, Chino Valley, Dewey-Humboldt, Grand Canyon, Cornville, Jerome, Pinetop, Tuba City, Navajo Reservation, Lakeside, Anthem, Holbrook, Snowflake-Taylor, Munds Park, Surprise, Sun City, Chandler, Phoenix, Scottsdale, Mesa, Tempe and Gilbert....www.Mercedesofflagstaff.com ... Family Owned and Community driven. We offer our clients CLEAR PRICING and a Pressure-Free experience with exceptional customer service. www.Mercedesofflagstaff.com ... Family Owned and Community driven. We offer our clients CLEAR PRICING and a Pressure-Free experience with exceptional customer service. Certified. CARFAX One-Owner. Clean CARFAX. Odometer is 1960 miles below market average! 25/34 City/Highway MPG Silver 2015 Mercedes-Benz C-Class 4D Sedan C 300 RWD 7G-TRONIC PLUS 7-Speed Automatic 2.0L I4 Turbocharged Mercedes-Benz Certified Pre-Owned Details: * Roadside Assistance * Transferable Warranty * Vehicle History * 165 Point Inspection * Includes Trip Interruption Reimbursement and 7 days/500 miles Exchange Privilege * Warranty Deductible: $0 * Limited Warranty: 12 Month/Unlimited Mile beginning after new car warranty expires or from certified purchase date www.Mercedesofflagstaff.com ...Excellent selection of New and Certified Pre-owned, Great selection of All Makes and Models of handpicked Pre-owned Vehicles. ALL PRICED BELOW MARKET! Low Financing and Lease options! Serving All of Flagstaff, Sedona, Cottonwood, Williams, Kingman, Bullhead City, Winslow, Bellemont, Prescott, Prescott Valley, Pine Valley, Chino Valley, Dewey-Humboldt, Grand Canyon, Cornville, Jerome, Pinetop, Tuba City, Navajo Reservation, Lakeside, Anthem, Holbrook, Snowflake-Taylor, Munds Park, Surprise, Sun City, Chandler, Phoenix, Scottsdale, Mesa, Tempe and Gilbert....www.Mercedesofflagstaff.com ... Family Owned and Community driven. We offer our clients CLEAR PRICING and a Pressure-Free experience with exceptional customer service. 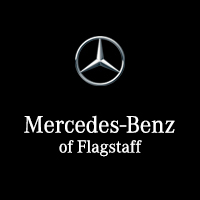 www.Mercedesofflagstaff.com ... Family Owned and Community driven. We offer our clients CLEAR PRICING and a Pressure-Free experience with exceptional customer service. Certified. Clean CARFAX. Odometer is 6703 miles below market average! 24/32 City/Highway MPG Gray 2015 Mercedes-Benz GLA 4D Sport Utility GLA 250 4MATIC®® 4MATIC®® 7-Speed Automatic 2.0L I4 DI Turbocharged Mercedes-Benz Certified Pre-Owned Details: * 165 Point Inspection * Transferable Warranty * Warranty Deductible: $0 * Limited Warranty: 12 Month/Unlimited Mile beginning after new car warranty expires or from certified purchase date * Vehicle History * Includes Trip Interruption Reimbursement and 7 days/500 miles Exchange Privilege * Roadside Assistance www.Mercedesofflagstaff.com ...Excellent selection of New and Certified Pre-owned, Great selection of All Makes and Models of handpicked Pre-owned Vehicles. ALL PRICED BELOW MARKET! Low Financing and Lease options! Serving All of Flagstaff, Sedona, Cottonwood, Williams, Kingman, Bullhead City, Winslow, Bellemont, Prescott, Prescott Valley, Pine Valley, Chino Valley, Dewey-Humboldt, Grand Canyon, Cornville, Jerome, Pinetop, Tuba City, Navajo Reservation, Lakeside, Anthem, Holbrook, Snowflake-Taylor, Munds Park, Surprise, Sun City, Chandler, Phoenix, Scottsdale, Mesa, Tempe and Gilbert....www.Mercedesofflagstaff.com ... Family Owned and Community driven. We offer our clients CLEAR PRICING and a Pressure-Free experience with exceptional customer service. www.Mercedesofflagstaff.com ... Family Owned and Community driven. We offer our clients CLEAR PRICING and a Pressure-Free experience with exceptional customer service. Certified. CARFAX One-Owner. Non Smoker!, GPS / Nav / Navigation, Backup Camera, MP3, Alloy Wheels, Bluetooth, Navigation System, Tow Package, Trailer Package, 3.5L V6 DOHC 24V, Black Artificial Leather, 19" Twin-5-Spoke Alloy Wheels, Blind Spot Assist, Lane Keeping Assist, Lane Tracking Package, Navigation System, Parking Assist Package, Parking Package, PARKTRONIC with Active Parking Assist, Surround View Camera System. Odometer is 6725 miles below market average! 18/24 City/Highway MPG White 2015 Mercedes-Benz M-Class 4D Sport Utility ML 350 RWD 7-Speed Automatic 3.5L V6 DOHC 24V Mercedes-Benz Certified Pre-Owned Details: * 165 Point Inspection * Transferable Warranty * Roadside Assistance * Limited Warranty: 12 Month/Unlimited Mile beginning after new car warranty expires or from certified purchase date * Warranty Deductible: $0 * Vehicle History * Includes Trip Interruption Reimbursement and 7 days/500 miles Exchange Privilege Awards: * 2015 IIHS Top Safety Pick+ www.Mercedesofflagstaff.com ...Excellent selection of New and Certified Pre-owned, Great selection of All Makes and Models of handpicked Pre-owned Vehicles. ALL PRICED BELOW MARKET! Low Financing and Lease options! Serving All of Flagstaff, Sedona, Cottonwood, Williams, Kingman, Bullhead City, Winslow, Bellemont, Prescott, Prescott Valley, Pine Valley, Chino Valley, Dewey-Humboldt, Grand Canyon, Cornville, Jerome, Pinetop, Tuba City, Navajo Reservation, Lakeside, Anthem, Holbrook, Snowflake-Taylor, Munds Park, Surprise, Sun City, Chandler, Phoenix, Scottsdale, Mesa, Tempe and Gilbert....www.Mercedesofflagstaff.com ... Family Owned and Community driven. We offer our clients CLEAR PRICING and a Pressure-Free experience with exceptional customer service. www.Mercedesofflagstaff.com ... Family Owned and Community driven. We offer our clients CLEAR PRICING and a Pressure-Free experience with exceptional customer service. Certified. Non Smoker!, iPhone Integration, GPS / Nav / Navigation, Lane Assist, Backup Camera, MP3, Alloy Wheels, Adaptive Ride Package, Bluetooth®, Comfort Package, Leather Seats, Moonroof, Navigation System, Crystal Gray/Seashell Gray Leather. Odometer is 17548 miles below market average! 17/26 City/Highway MPG Dark Green 2015 Mercedes-Benz S-Class 4D Sedan S 550 RWD 7-Speed Automatic 4.7L V8 BiTurbo Mercedes-Benz Certified Pre-Owned Details: * Warranty Deductible: $0 * Transferable Warranty * 165 Point Inspection * Includes Trip Interruption Reimbursement and 7 days/500 miles Exchange Privilege * Roadside Assistance * Vehicle History * Limited Warranty: 12 Month/Unlimited Mile beginning after new car warranty expires or from certified purchase date www.Mercedesofflagstaff.com ...Excellent selection of New and Certified Pre-owned, Great selection of All Makes and Models of handpicked Pre-owned Vehicles. ALL PRICED BELOW MARKET! Low Financing and Lease options! Serving All of Flagstaff, Sedona, Cottonwood, Williams, Kingman, Bullhead City, Winslow, Bellemont, Prescott, Prescott Valley, Pine Valley, Chino Valley, Dewey-Humboldt, Grand Canyon, Cornville, Jerome, Pinetop, Tuba City, Navajo Reservation, Lakeside, Anthem, Holbrook, Snowflake-Taylor, Munds Park, Surprise, Sun City, Chandler, Phoenix, Scottsdale, Mesa, Tempe and Gilbert....www.Mercedesofflagstaff.com ... Family Owned and Community driven. We offer our clients CLEAR PRICING and a Pressure-Free experience with exceptional customer service.